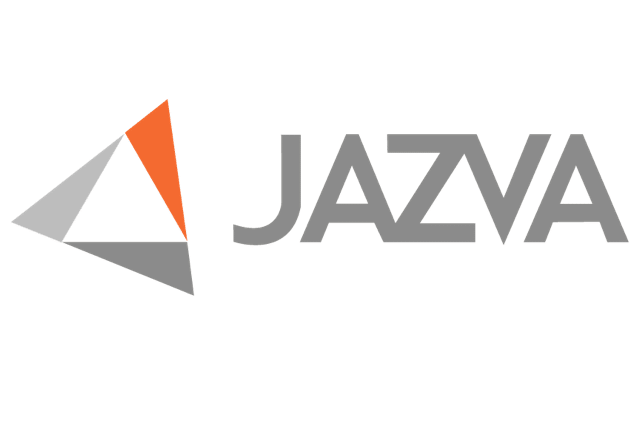 Jazva is an all-in-one online inventory management solution that lets you experience multi-channel eCommerce automation at its finest. Algopix and Jazva both support the Amazon and eBay marketplaces with product insights, supply chain management tools, and shipping information to get the most out of your sales. Jazva was founded in 2012 with the goal to provide mid-sized B2B and B2C retailers with the necessary tools to compete with global players and grow their businesses. Many online sellers nowadays rely on multiple software solutions to carry out their business tasks and track their inventory, which leaves room for error because they have to manually exchange information between the systems and update numbers and processes. This can be confusing, especially when you sell on different marketplaces and use diverse warehouses or fulfillment methods. Jazva integrates all important business processes in one multi-channel eCommerce software. Unless you are a dropshipper, your inventory in storage is key to your success. Thus keeping track of stock level, (re-)ordering inventory, managing its storage, and knowing what products are on sale is crucial to your success. Flaws in your supply chain management can cause you a lot of issues. One, it can make storage inefficient, because with a stock that is not optimized to your sales velocity it will take you longer to clear it and you will pay to a lot of money in storage fees. Second, if you sell on different markets and use different warehouses, you need to adjust your inventory according to the respective region’s demand. Insufficient information and evaluation of your stock levels will leave you with overstock in some markets and understock in others. Ultimately you will have issues fulfilling the orders, have more work reordering inventory, and might lose customers. Algopix offers in-depth Amazon and eBay product market research for 15 different marketplaces. You are able to get insights for a product’s demand level and last month’s sales volume broken down for each marketplace which will help you decide how much inventory is needed and where and at what price to offer your products. Jazva then takes care of making your decisions become reality. Not only does it allow you to easily list new products on your desired marketplaces or stores, but simplifies, synchronizes, and automates warehouse operations allowing for real-time inventory tracking, order processing, and shipping. This makes Jazva and Algopix a great combination for avoiding overstock and understock because it takes the guesswork out of sourcing new products and provides you with actual real-time data to adjust warehouse operations on the run. Selling on multiple marketplaces and markets at the same time comes with many tasks that are mostly the same, yet selling must be done for each market individually. Some examples include writing product descriptions and listing them and pricing products. This can add up quickly and leave little time for other business tasks that need attention. Jazva’s feature-rich multi-channel solution provides a central platform from which you can manage all of your sales channels. From Jazva for Amazon and eBay to Jazva for Shopify and Jazva for Magento, it supports integrations for six marketplaces and five web stores. Additionally, it is partners with five shipping providers and EDI (electronic data interchange) providers respectively as well as one Accounting solution. With its multi-channel listing software, you can make bulk listings, manage all of your products, and it will automatically reprice your products. An integration with your warehouse and fulfillment method (FBA, MCF, SFP) allow you to obtain a synchronized overview of your stock, order new inventory, track order fulfillment, and process returns and refunds faster. To top it all off, Jazva will make suggestions for your warehouse management, and forecast inventory needs. With a smart multi-channel eCommerce solution that will take care of your business processes, all you need is an equally useful market research platform to support your business decision making. This is where Algopix comes into play. You can use Jazva for eBay and Amazon, amongst others, which covers the same marketplaces that Algopix supports. Algopix’s insights into a market’s demand and supply for a given product allow you to identify products that will actually sell. A breakdown of all the expenses on a given marketplace combined with the expected profit will then tell you what marketplace is the most promising one. With an in-depth understanding of 15 different marketplaces, you will be able to make educated business decisions in no time.